The world's bestselling author of drawing and cartooning books, Christopher Hart, will show you all the interactive, artistic possibilities offered by doodling, designing, and coloring using characters, scenes, and crafts from the world of manga inDoodletopia: Manga. 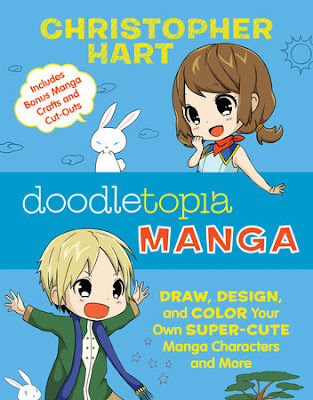 Unlike other doodle books that leave you stranded, with no help at all,Doodletopia: Mangapairs fun doodle-based activities with the sort of insightful (and laugh-out-loud funny) advice and tips that countless readers have come to expect from cartooning master Christopher Hart. From dressing up super-cute chibis to designing your own manga mazes to completing manga scenes and making manga-inspired crafts like bookmarks, stationery, and more, the opportunities for creative expression are endless. So what are you waiting for? Pick up your pencils, pens, markers, or crayons, and start doodling!